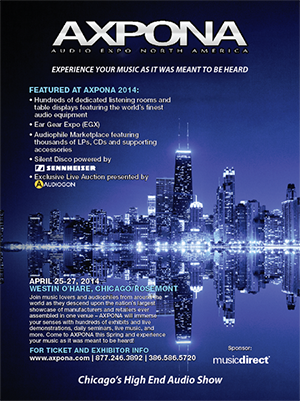 AXPONA (Audio Expo North America) is a consumer show directed at the high-end audio crowd. We prepared advertising, mailing pieces, a poster program, print advertising, web banners and the official show event guide. 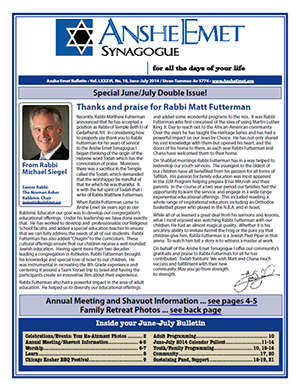 Anshe Emet Synagogue in Chicago serves up a monthly newsletter for members, averaging 20 pages, with photos, essays, articles and events. We design, edit, and prepare the publication for both printing and digital distribution. 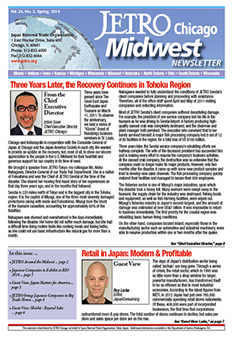 The Japan External Trade Organization (JETRO) has an active and dynamic Chicago office servimg 12 Midwest states. For more than two decades, its most visible form of communication has been the JETRO Chicago Midwest Newsletter, which we design, edit, and prepare for both print and digital distribution. It goes to a top-level list of business leaders, government officials and academics throughout the region and around the world. 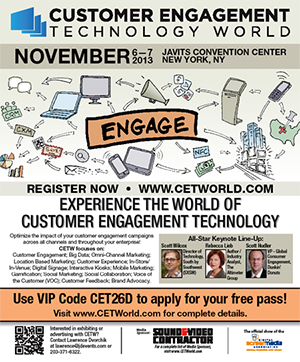 Customer Engagement Technology World (now simply Customer Engagement World) is a B-to-B show in New York, bringing together professionals in marketing, social media, retailing and customer service. We produce all mailing pieces, print advertising, web banners, and the onsite guide and other promotional material. 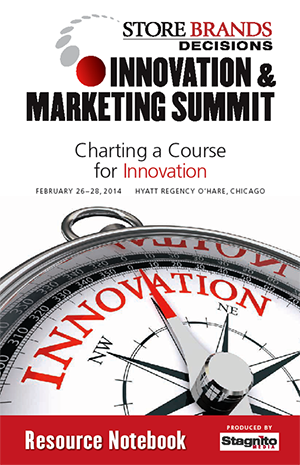 Innovation & Marketing Summit annually in Chicago. We produce the spiral-bound Resource Notebook, providing all attendees with a detailed loook at speakers, exhibitors and show activities. contact jerry@mayeroff.com, or call 773-761-0868.